General Practice providers are facing many challenges as a result of the Affordable Care Act (ACA), Meaningful Use, other government incentive programs, and declining reimbursement. In addition, there is a growing need for primary care services and an expected shortage of providers. Additional industry changes like ICD-10 just add to the burden. 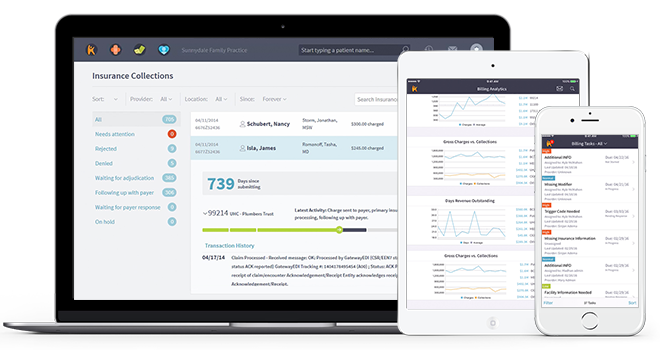 Kareo is the only cloud-based, clinical and business management platform designed specifically for the unique needs and built to enable the success of General Practice providers. The platform can be accessed with a single module purchase or through a combination of modules to create a customized solution tailored to the needs of your practice.